With so many brands on the market, how can I know which brand is the best? You may find more than 10 brands on your current market sheves. 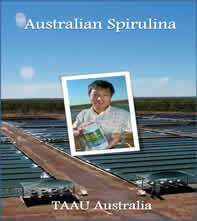 No one else produces Spirulina in Australia solely except for us. All the other companies import the powder or tablets and merely pack the product in Australia. Some of the companies have no facilities, and even get others to pack for them (e.g. Pan Pharmaceuticals). Because they are not in production themselves, it is difficult to control the quality of their products. 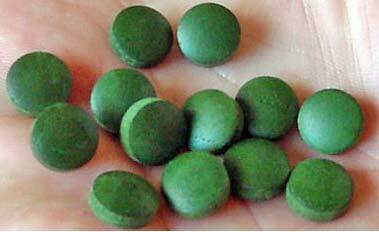 Our company only produces Spirulina, and we are experts in this field. From the Spirulina culture to the final product we do everything ourselves at our site thereby ensuring full control over the quality of our product. Why is Australian Spirulina darker and more friable than other brands? Normally a manufacturer will add about 20% binder or starch to keep the tablet firm and smooth. Our company insists that our health products should never be mixed with any unhealthy ingredients for whatever reason. We use a low speed cool press system and increase the press pressure to keep the tablet as firm as possible, and our tablets are not the same as binder added products. 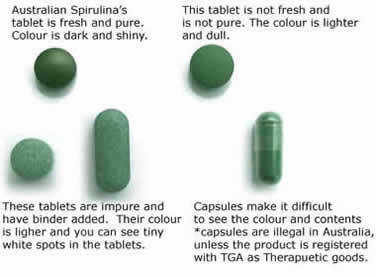 Because our product is made from 100% pure Spirulina, Australian Spirulina's tablet is friable and darker than others. 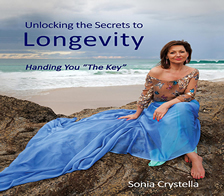 Without the binder, Spirulina is more rapidly assimilated by the body. Remember, your $ is for Spirulina, not binder. Many brands claim the product is made in NZ or Australia. Is this true? Except for us, no one else is actually growing and producing Spirulina in Australia. Everyone else is importing the product and merely packing it in Australia. Spirulina can only grow in tropical weather and Darwin is one of the few places which can grow Spirulina. In New Zealand it is impossible to grow Spirulina due to their climate, therefore NZ Spirulina is also imported from another country. What is the difference between "Australian Made" "Made in Australia" and "Product of Australia"? Both the "Australian Made" logo and the "Made in Australia" label were once the easiest way to recognise that a product was made in Australia. However the logo or label does not guarantee these products are 100% Australian. 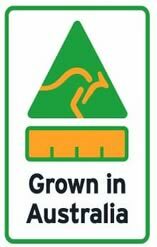 Some of the products using the logo or label are 100% imported with merely a little processing in Australia plus as little as 50 % production cost in Australia. These companies are not entitled to use the "Made in Australia" or the "Australian made" triangle to promote their products! These days the, "Australian Made" logo and "Made in Australia" label both no longer prove a product is 100% produced in Australia. Consumers should be aware of this. According to the new system, Australian Spirulina will be the only Spirulina product eligible to use both "made in Australia from 100% Australian ingredients" and "100% Grown in Australia" logos. 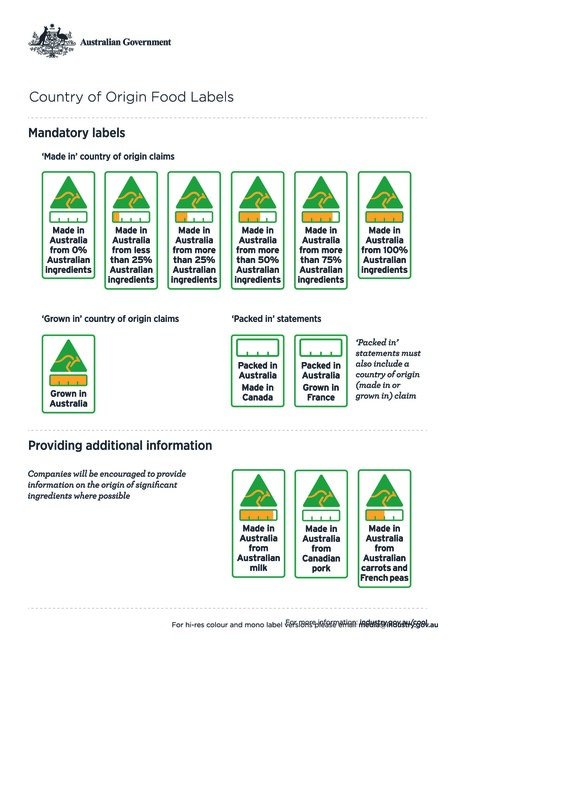 is the highest grade of label still, which means the product is produced in Australia, using 100% Aussie ingredients. This is the only label that can guarantee a real Australia product. 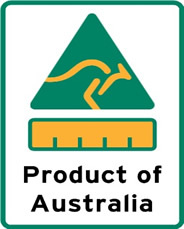 We use the "Product of Australia" label which guarantees our product is 100% Australian made. Some brands claimed their Spirulina product is organically grown, why doesn't Australian Spirulina claim this? Organic products are the modern people's new flavor. Anything labeled organic can be sold for better prices. So far it is difficult to find an independent organisation that can judge whether this is real or not. "Organic" means no chemical type of fertilizer or adjuster (whether extracted from nature or not) can be used while growing the product until it is harvested. If the company simply does not use pesticides and herbicides, it should not be eligible to claim their product as "Organic". Our company is an expert in Spirulina growing, and we are fully aware it is impossible to grow Spirulina in extremely high density by just relying on organic feed. 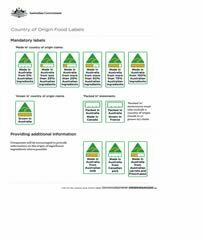 You may have found that some Spirulina brands claim to be "Australian Certified Organic" this is very misleading. For more details please click the following link.